Final casting is announced today for the transfer to the Arts Theatre of the acclaimed rock musical, The Toxic Avenger The Musical. 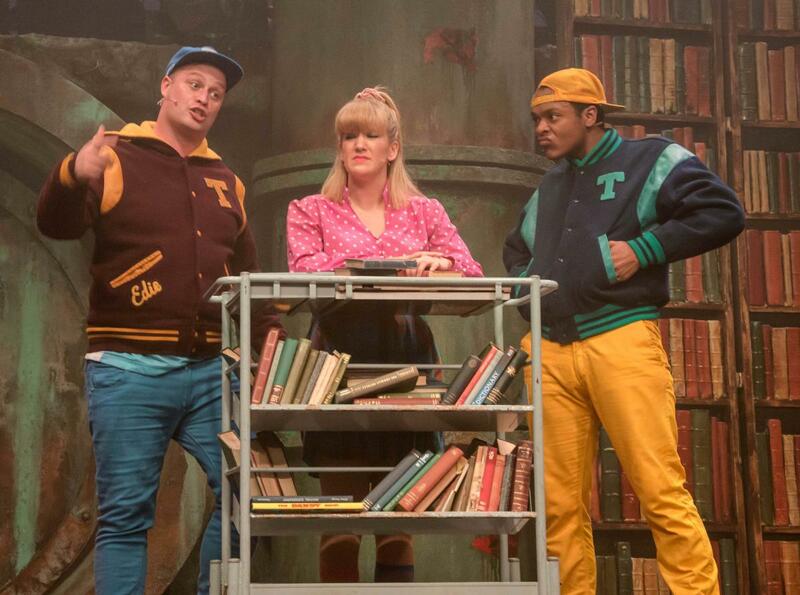 Following a sold-out UK premiere at Southwark Playhouse, when it received 6 Off West End Award nominations including Best Musical, The Toxic Avenger The Musical will play the Arts Theatre for a strictly limited 10-week season from Thursday 28 September. Prior to the London season, the production will get its Scottish premiere with a month-long run at the Edinburgh Festival Fringe. Joining Mark Anderson, who returns after starring to great acclaim as Melvin/Toxie in the original London production, are: Natalie Hope, Emma Salvo, Oscar Conlon-Morrey and Ché Francis with Peter Bindloss and Sophia Lewis as swings/understudies. Based on Lloyd Kaufman’s cult 1984 comedy schlock-horror Troma film, The Toxic Avenger, The Toxic Avenger The Musical tells the story of the citizens of Tromaville who are crying out for a hero. Enter nerdy Melvin Ferd the Third, an aspiring earth scientist, determined to clean up the state’s major toxic waste problem. When a corrupt Mayor and her government goons get wind of his plans, they vow to stop this heroic feat. Melvin is attacked and tossed into a vat of toxic waste… transforming him instantly into The Toxic Avenger – New Jersey’s first superhero! Toxie is a 7-foot mutant freak with superhuman strength and a supersized heart to match. His aims are to save heavily polluted New Jersey, end global warming, win the heart of the prettiest (blindest) librarian in town – and get home in time for dinner! Prepare to laugh, scream and sing to songs including ‘Who Will Save New Jersey?” “Get the Geek”, “Thank God She’s Blind” “Hot Toxic Love” and “Choose Me, Oprah!” as ‘Toxie’ rocks the house and saves the day! Previous theatre includes: The Toxic Avenger The Musical (Southwark Playhouse); Stiles & Drewe’s Three Little Pigs (International tour); The Book of Mormon Original West End cast (Prince of Wales Theatre); Love Me Tender (National tour); Once Upon A Mattress (Union Theatre); Legally Blonde (National tour); Mary Poppins (National tour); Hello, Dolly! (Regent’s Park Open Air Theatre); The Boy Friend (West End); You’re a Good Man, Charlie Brown (Tabard Theatre). Previous theatre includes: Sweet Charity (Manchester Royal Exchange); Legally Blonde (Leicester Curve Theatre); The Commitments (Palace Theatre, West End); Our House (Savoy Theatre, West End); Sister Act (UK tour); Evita (UK tour); Disney’s High School Musical (UK tour); Fame (Shafesbury Theatre, West End and UK tour); Don’t Stop Believing (UK tour); Rocky Horror Show (UK tour); Laughter in the Rain (UK tour); Beyond the Barricade (UK tour). Previous theatre includes: Holy Crap (King’s Head Theatre), Grease (Royal Caribbean), Newsrevue (Canal Cafe Theatre), Sincerely, Mr Toad (UK tour). Oscar has just graduated and is making his professional debut. Ché has just graduated and is making his professional debut. 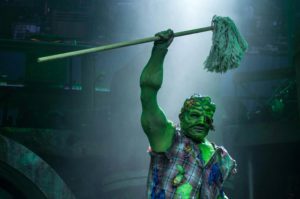 The Toxic Avenger The Musical is the brainchild of the Tony Award-winning creative team behind the smash hit West End musical Memphis, Joe DiPietro and David Bryan, an original founding member and keyboardist/vocalist for rock giants, Bon Jovi.